The holidays are finally here! While there’s always a lot to get done—holiday decorating, gift wrapping, travel plans—there’s also so many fun family activities to do. Whether you’re taking a break from the holiday rush or looking for ways to keep the kids entertained when they’re home on holiday break, here are 40 fun family activities to try before Christmas. Write letters to Santa — and share some of these fun Christmas facts with the kids. Wrap all your Christmas books and put them under the tree — open one each night to read together. Decorate sugar cookies or other edible crafts like chocolate pinecones, stocking pizzas, candy sleighs, etc. Volunteer with a local charity. Go ice skating — find a local rink, frozen pond, or make your own. Prepare travel cups of hot chocolate, and drive around to look at neighborhood Christmas lights. Practice Christmas carols, and take your show on the road — serenade a senior living facility or children’s hospital. String popcorn — try this tutorial. Family Grinch night — complete with one or more of the movies, green drinks and snacks, and Grinch pajamas. Become Secret Santas for a family in need. Attend a local production of The Nutcracker. 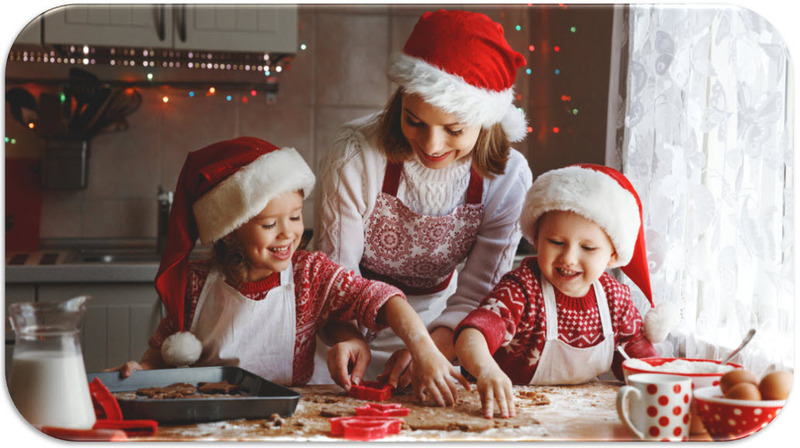 Make a new holiday recipe — let the kids pick and help you cook. Put together a Christmas Eve Box filled with holiday jammies, movies, hot chocolate, popcorn, etc. Follow a Service Advent Calendar with one small or large act of kindness per day. Create a Christmas playlist with each family member contributing a few holiday favorites. Have a stocking shopping night — draw names in your family, pick a store, a price limit, and a time limit, and then shop for each other’s stockings. On Christmas morning, everyone guesses who stuffed theirs! Build a fort by the tree and camp as a family overnight — just don’t do this on Christmas Eve or they’ll spy Santa! Have kids choose 10 old toys to place in oversized Santa sacks and leave for Santa on Christmas Eve. He’ll take them back to the North Pole to fix them up and give to others, while leaving new toys in their place! Make homemade gifts/cards for teachers, babysitters, etc. Play the Magical Elf Ornament game — it’s a fun new take on “Elf on the Shelf”. Research the North Pole — get started with this sneak peek into Santa’s Workshop. Christmas Sock Dance Party — open new pairs of socks, put them on, and dance ‘til you can’t dance anymore! Create a Giving Plate — get started here. It’s literally the gift that keeps on giving! Make Reindeer Food to sprinkle outside on Christmas Eve. Family Coloring Night —find holiday-themed printables, and color together while listening to Christmas tunes. And don’t forget to enter LTD’s 2018 Coloring Contest! Establish the tradition of completing an annual Christmas puzzle. Create a hand print tree skirt—start with a white tree skirt, and paint everyone’s hands with the year. Add prints each year to show progression. Consider assigning a color to each person or to each year. Compose a family update letter to send to loved ones. 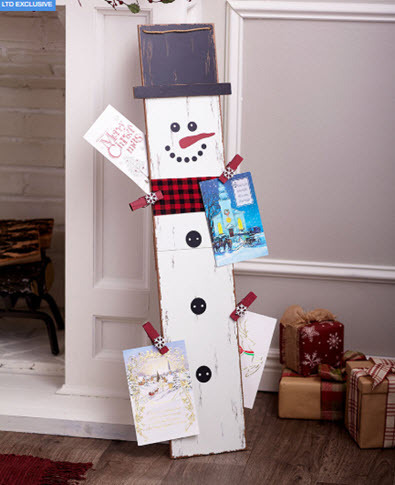 Create a festive display for your holiday cards. Doorbell Ditch Surprise: prepare holiday goodie bags, then deliver them stealthily! Make Sock Snowmen — no sewing needed for this craft, and kids absolutely love it! 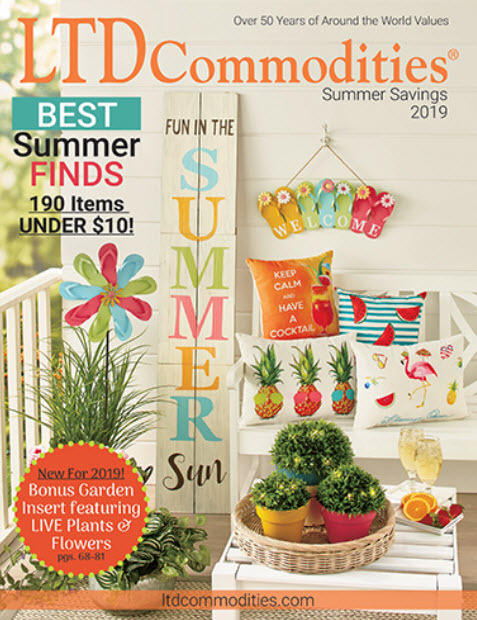 Use as decor or give as gifts! 3. 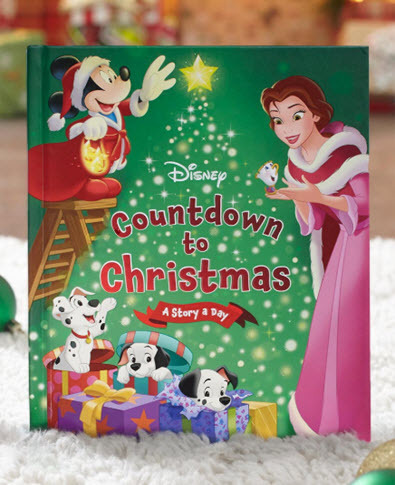 Try this Countdown to Christmas Book! 21. 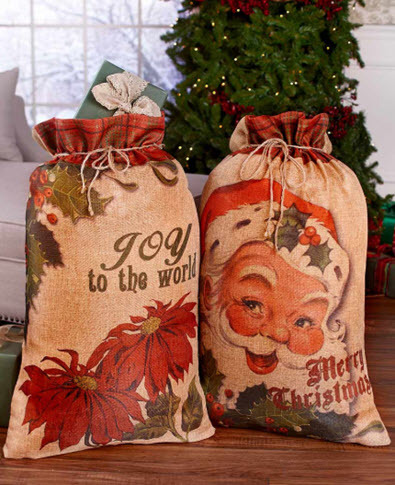 Use these versatile Oversized Gift Sacks. 36. Perfect for displaying all your holiday cards! 31. Don’t forget to enter LTD’s 2018 Holiday Coloring Contest for a chance to win!